Today is a repost of my Memorial Day post from last year... because I still believe all I said then! Happy Memorial Day. Thank you service men, women and families for your service and sacrifice. For many people, Memorial Day means pools are now open for the season. Beaches are begging to be visited for the weekend. The work week is shorter. And the day isn't complete without cookouts, friends, and fireworks. 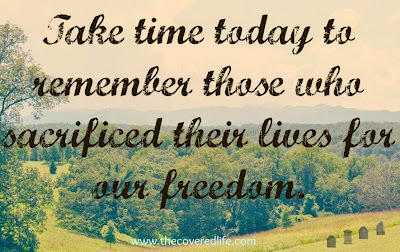 And we are truly blessed, that today, we have the freedom to be able to do any of those things. 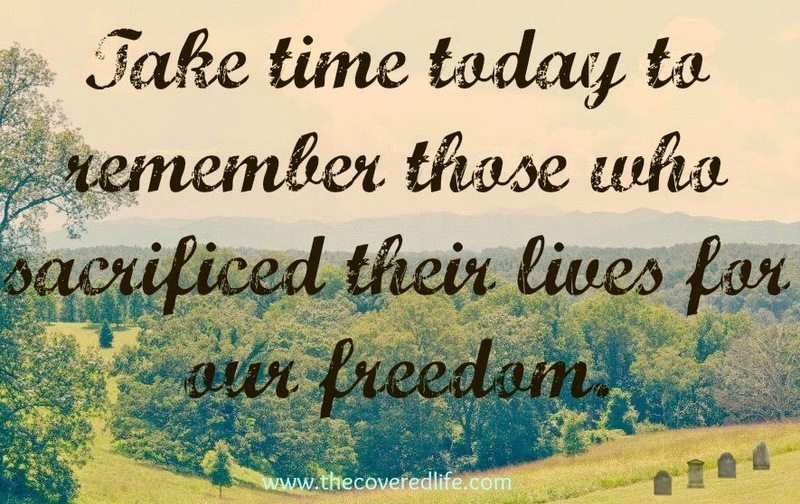 But, let us not forget what Memorial Day is really for- it was established as a day to remember and honor the many men and women who died while serving in the military. You may not be personally associated with anyone who has ever served in the military, but there are many families who know first hand the sacrifices that are made by not only the soldiers, but also their families. There are long hours of training and many days they spend separated from their families. And for some, the ultimate sacrifice of their life has been given. So whether you have a cookout, go to the beach, or place a US flag on the grave of a fallen soldier please take just a moment to remember the many men and women who gave their lives for your freedom. I encourage you to thank God for them and to pray for the families they left behind. And also, pray for the safety of those who are currently serving and their families.